Now for something a bit lighter! Driving through clogged city traffic is not my idea of fun, but driving on country roads for hours is a delight. There is nothing better than to have a full tank of fuel, nibbles, music and good companion (in my case, wife) and to head out. A drive to Wilpena Pound in South Australia, 1800 kilometres to Queensland, a trip to the wineries in northern Victoria – are all ways to relax and unwind . And it is even better if one can get a few nights in a tent along the way – especially on the bank of a river or lake. That is living! But let me start overseas. 1. Driving to the Arctic Circle. 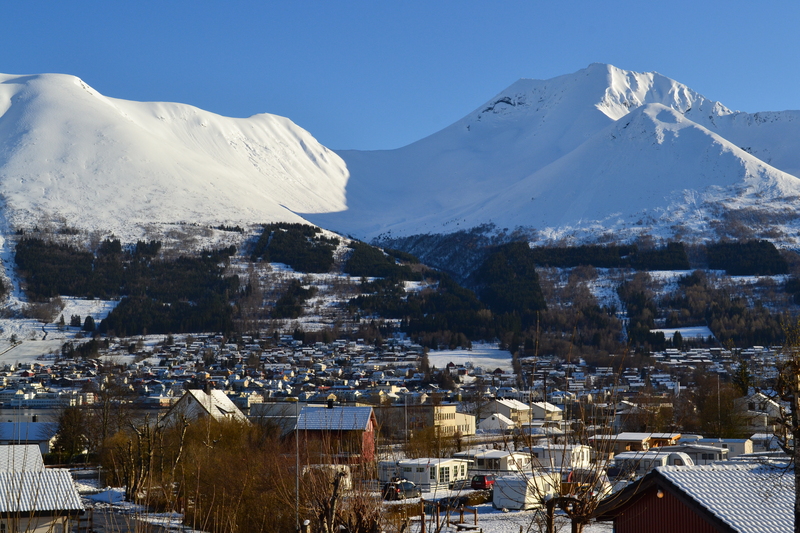 It had always been a dream of mine to travel to the Arctic Circle. I can’t even tell you why. A few years ago I got my chance. My wife and I picked up a car in Gothenburg in Sweden – a Volvo of course, and headed north. We crossed the Oslofjord by ferry, the first of many delightful crossings, and headed to Drammen. Misjudging our accommodation we spent the night “sleeping” in our car at a truck stop. Our original intention had been to travel south to Kristiansand but the weather turned nasty so we headed directly north instead, visiting any and every stave church that we encountered. I would have to forgo my intended visit to Pulpit Rock or Preikestolen near Stavanger. Our first night in a tent was at Roldal. From Roldal we headed to Laerdal via the Hardanger Folk Museum which gives visitors a great picture of the Norway of old. My wife loved this place because of the beautiful traditional craftwork(including Hardanger) on display. The fjords in this part of Norway are amazing. From our camping spot in Laerdal we drove to Orsta, but on this evening the snow was too mushy to pitch a tent so we had to hire a cabin. The valley was cloud bound but the next morning it was bathed in brilliant sunshine – a different place! 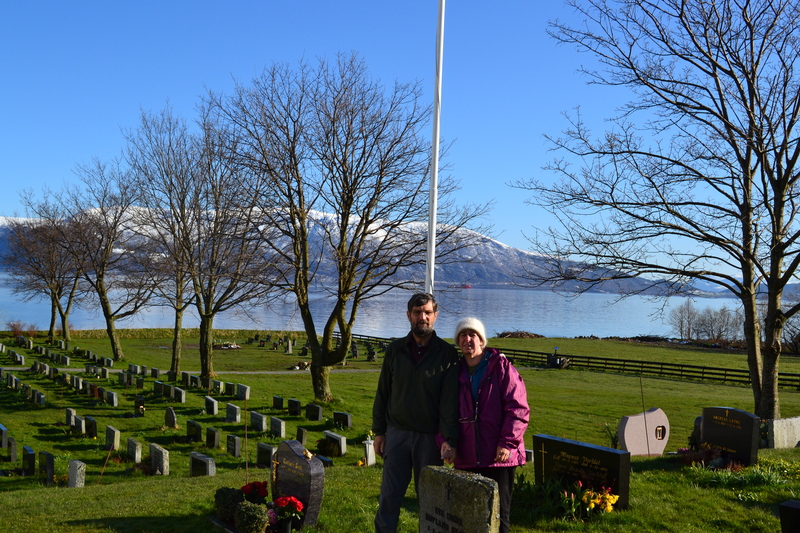 We made our way to Alesund famous for being one end of the “Shetland Bus” route during WW2 which transported agents and others between Nazi occuppied Norway, and alllied ports in Shetland and Scotland. 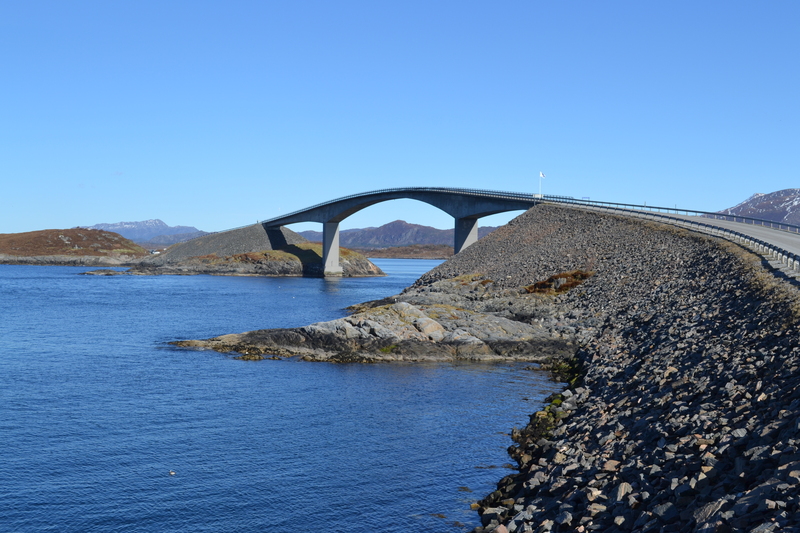 We continued northward to another place I had always wanted to see – the Atlantic Road – a stunning, even artistic, 8 kilometre section of road that island hops towards Kristiansund (not Kristiansand) where we camped. All the while you can hear your wallet emptying because the Norwegians know how to do toll roads. They also know how to do tunnels. One near Laerdal, which we had travelled through earlier is about 25 kms in length. Emerging from a tunnel is nearly always spectacular. 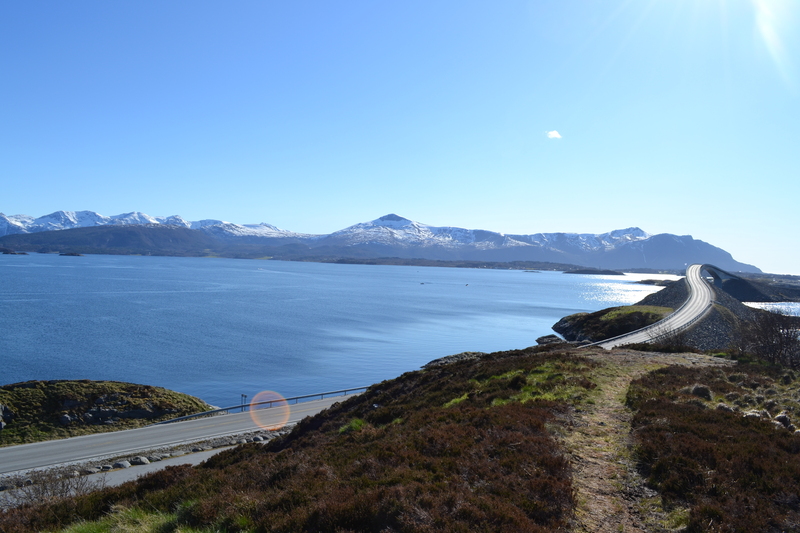 It is like being a mole for moment and popping out into another beautiful part of Norway. Then we made our way towards Trondheim, the old Viking capital, with its 800 year old Nidaros Cathedral and the C18th wooden palace. But there was still further to go. Before we camped about 160 kms south of the Arctic Circle we had an unexpected treat – we encountered a large herd of reindeer. The camping ground at Mosjoen had its own 6 lane bowling alley and mini golf course. What more could you want? We used neither. That night we camped on a light sprinkling of snow. The following morning we travelled to the Arctic Circle via Mo I Rana – with my wife doing her “feet in the water” ritual in the harbour. The further north you go the less mountainous it becomes and this is accentuated by the reduced height of the trees. For Norway it seems very falt. 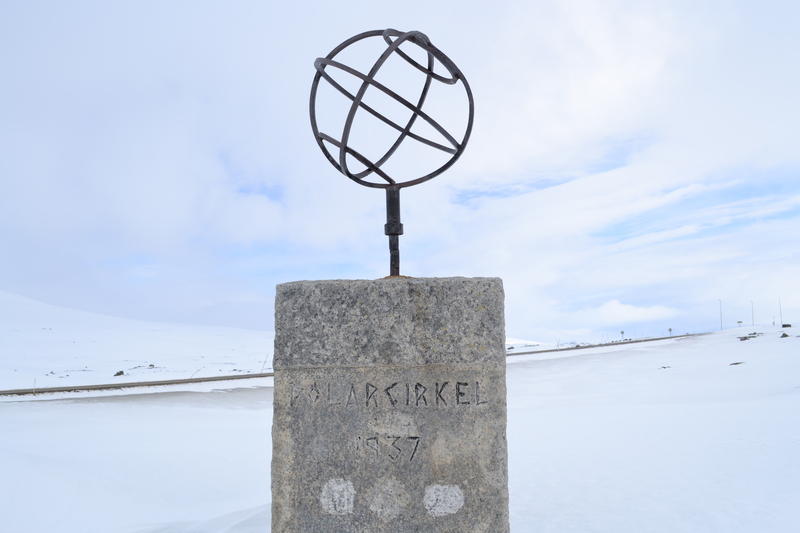 We arrived at the Polar Circle Centre on its first opening day for the season. Two metres of snow had been carved out of the carpark but we were the only visitors at the time. Two young men were setting things up but I think they were pleased to have some company. Inside there was a great display of the flora and fauna of the area. I had achieved my driving ambition! At this point we turned around and headed back the way we had come. At Mo I Rana we turned east and made our way into Sweden – the land of pine trees and lakes. If ever I visit Norway again I would still try to get to Pulpit Rock, Narvik and the Lofoten Islands. Even if I don’t, which is more likely, I have great memories of the coolest road trip! While my better half is visiting family in the warmth of the northern Summer, I am tempering my jealousy by remembering our trip early last year. 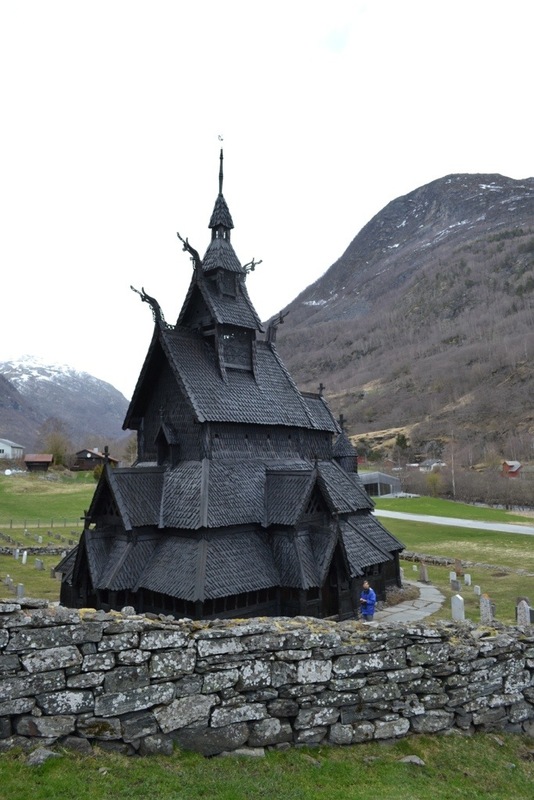 A year ago today we were camping in Norway and hunting for Stave churches … sigh! 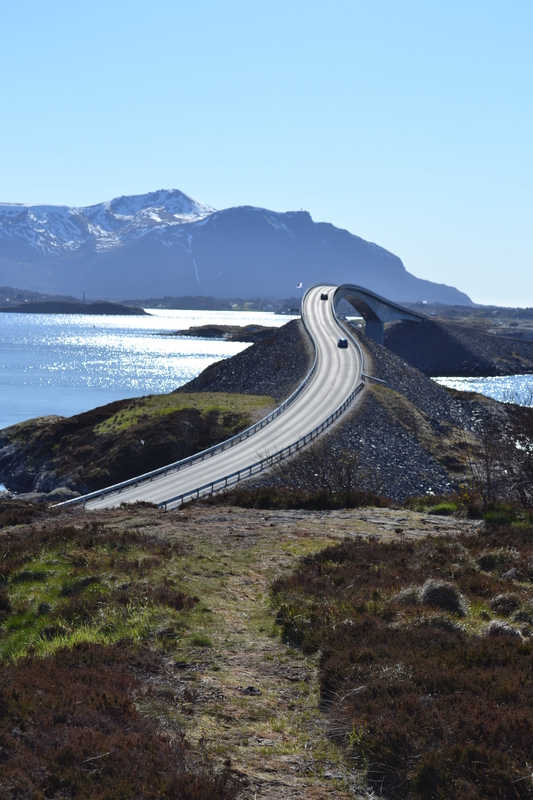 One of the reasons I wanted to visit Norway was to travel the Atlantic Road. 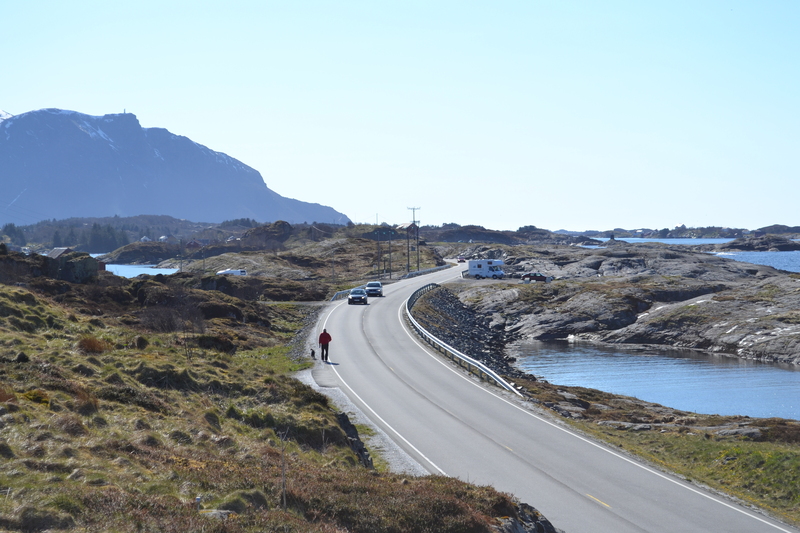 This relatively short stretch of highway hops from rock island to island just south of Kristiansund through a nature park. The road swerves and weaves over islands and along water for 8 kilomentres. Without too much hyperbole it could be suggested that this road with its bridges is a work of art. People were fishing, having picnics and generally enjoying the sights on the day that we went. It was cool but sunny and the road looked magnificent. All this is, of course, set against the dramatic backdrop of Norwegian scenery. We liked it so much that we made three separate journeys along this road before we finally took the (expensive) tunnel into Kristiansund. There are great coastal highways in the world. The Pacific Coast Highway in California and the Great Ocean Road in Victoria, Australia but this 8 km stretch is in a category of its own. 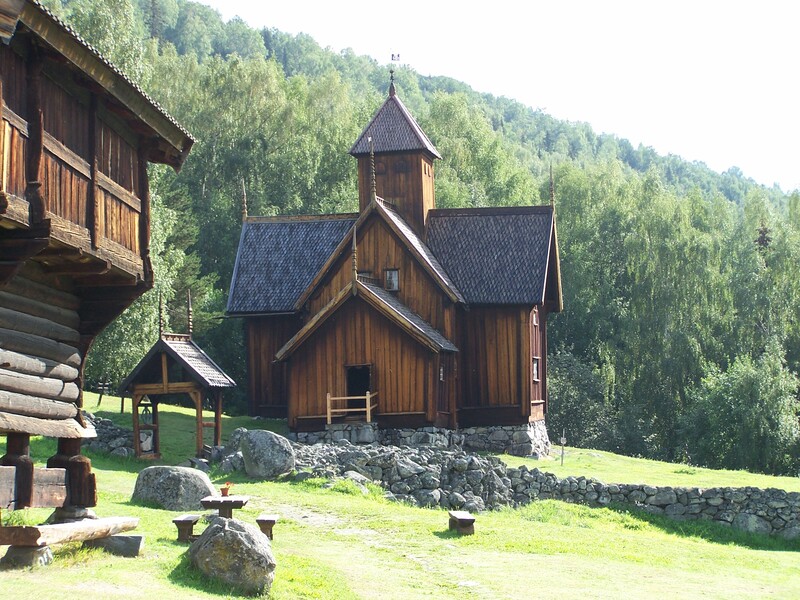 Stave Churches – Wooden Churches That Have Survived For Centuries. The Uvdal Stavkirke (Stave Church) in Numedal district in central southern Norway. It dates from the end of the 1100s and was remodelled into a cruciform shape in 1720. It is one of about 30 that remain in Norway today. 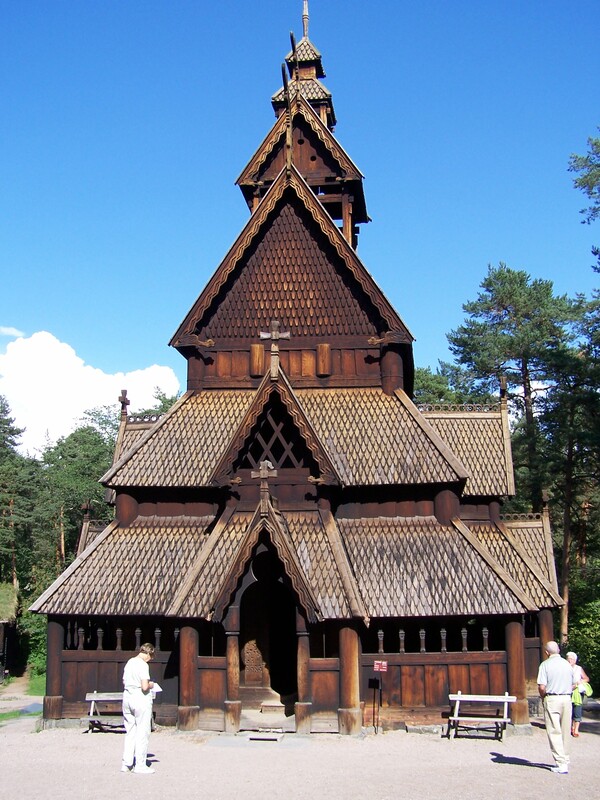 Below is the more ornate Gol Stavkirke now found in the Norsk Folkemuseum in Oslo on the island of Bygdoy. This was built in about 1200 and moved to the present site in 1885.